If you are experiencing problems with your Mazda MPV Hatch not being supported by your new lift supports be sure to check that they are properly installed. First check the lift supports for a blue label, on the label it should read 6113L and 6113R. The 6113L supports should be installed on the driver side, and the 6113R is on the passenger side. The markings on the bracket do not not apply for this application. 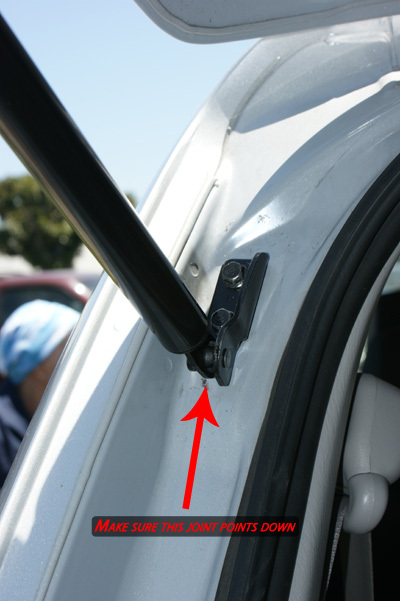 Also, make sure that the brackets are installed pointing down towards the ground, as illustrated below.